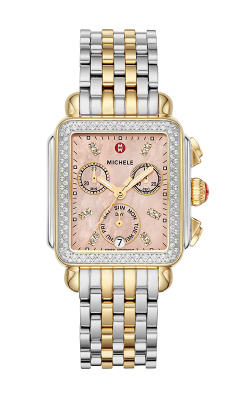 For over 20 years, MICHELE has been gracing the wrists of women with Swiss-quality engineering. Blending contemporary horological science with an artistic eye turned towards what women want. Michele watches are beautiful enough to be worn at refined events and are robust enough to be worn while hiking a mountain thanks to the stainless steel that MICHELE uses to reinforce its timepieces. At Northeastern Fine Jewelry, we’re proud to be an authorized retailer for this genius women’s watch brand, which includes as standard dynamic complications, such as a central 60-second hand, chronograph, smartwatch capabilities, and day and date settings. The Deco and Sidney collections are two of our most popular lines. The Deco collection has nearly a dozen variants and is made with the signature MICHELE feminine strength in mind. The automatic quartz movement, stainless steel case, and scratch-resistant sapphire crystal makes them ultra-durable, but still boast of mother of pearl and diamond accents and dials. The Sidney collection was clearly inspired by the power watch culture of the 1980s, and each of this collection’s timepieces hearken back to that boardroom chic thanks to the blend of gold, diamonds, stainless steel bands, and a prominent dial. 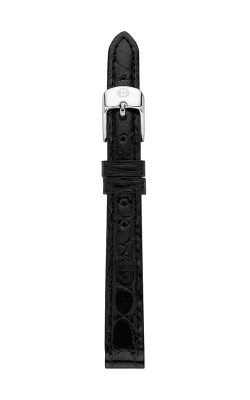 Northeastern Fine Jewelry also carries the Serein and Hybrid Smartwatch collections from MICHELE. Serein watches are recognizable thanks to their perfectly round, gold-and-diamond decorated bezels. With most of this collection’s timepieces featuring a mother of pearl dial, you can be assured that this is the right watch for a timelessly graceful and feminine look. The cutting-edge woman may also enjoy the offerings of the MICHELE Hybrid Smartwatch collection. At first sight, these timepieces retain the vintage elegance that MICHELE does so well, but inside, these watches include fitness tracking technology, notifications, haptic vibrations for alerts, a portable music player, and camera! Why Shop for MICHELE at Northeastern Fine Jewelry? Northeastern Fine Jewelry is the jeweler of choice for women looking to add the sophistication of MICHELE timepieces to their lives. For over 38 years, we have been trusted by the community of Schenectady, New York to showcase the best Swiss-quality timepieces, bridal jewelry, fashion jewelry, and more, thanks to our unswaying dedication to customer satisfaction and quality products. We also employ the talents of an in-house watchmaker, meaning that we’re capable of keeping your new MICHELE watch ticking for decades to come. Visit us today to find out more about what NEFJ can do for you!